According to the court ruling, Mr. Dang Le Nguyen Vu will manage Trung Nguyen Group after divorce after re-considering his contribution to the group with the aim to alleviate effect on the group’s activities. The divorce of Trung Nguyen Chairman Dang Le Nguyen Vu and his wife Le Hoang Diep Thao yesterday ended up and as per the court ruling, Chairman Nguyen Vu will manage the Trung Nguyen Group and own 60 percent of shared assets while his wife will possess 40 percent. 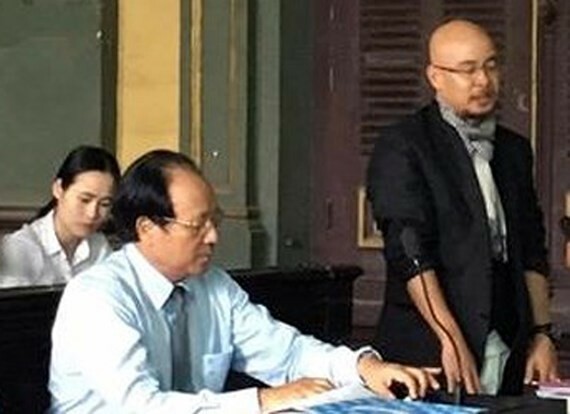 The Ho Chi Minh City People’s Court said that because Chairman Vu has contributed more to the establishment and management of Trung Nguyen, he will own 60 percent while his wife, Thao, will possess 40 percent. Additionally, Chairman Vu will continue managing the group so as not to make any impact on the group’s activities. The court said that the couple’s four children should be raised by Ms. Thao and Mr. Vu is obliged to provide them VND10 billion (US$431,450) each year, starting from 2013 until they finish their tertiary education. Chairman Vu must pay back value of shares by cash to his wife who will no longer be a Trung Nguyen shareholder. The jury announced that the couple's assets are split 50/50 in principle. Their total asset excluding land is valued more than VND7,500 billion ($323.3 million) and Chairman Vu will receive VND4,500 billion while his wife Thao will receive VND3,000 billion. Regarding their deposits of VND1,764 billion in three banks, the court said it will take account of each person’s effort while dividing it equally. Ms. Thao will continue managing the sum and Mr. Vu just has to pay back VND1,224 billion to his wife instead of VND3,000 billion. According to the couple’s agreement on 13 real estates they own, Chairman Vu will keep six real assets totally worth over VND350 billion while his wife possesses seven worth over VND375 billion and Ms. Thao has to re-pay Mr. Vu the difference of VND12.5 billion.